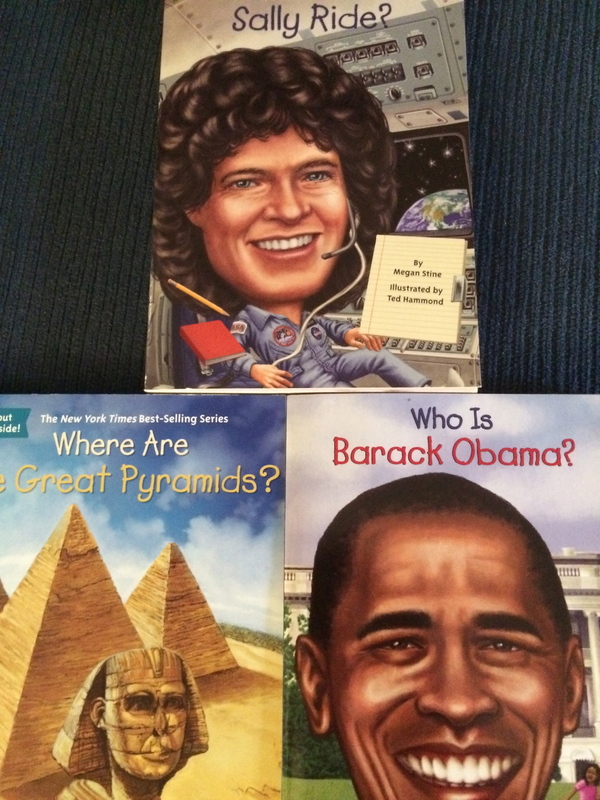 My ten-year-old son enjoys reading the “Who? What? Where?” Series. If you’re not familiar with these non-fiction books, they are biographies of famous people (both historical and contemporary figures) as well as books about well-known places and significant events. — A little girl who always liked to wear plastic jewelry around the house and pretend she was a movie star. — A college student who didn’t have a car for half her college years and relied on six buses a day to commute to and from California State University Northridge. — A mother with an invisible disability. It’s all true. And you can click here to read my personal essay “Parenting With an Invisible Disability” at MomsLA.com. During the annual Passover Seder we speak of four children. Each has different primary attributes. wise, wicked, simple, and one who does not know how to ask. Each of us, it seems to me, embodies each of these attributes from time to time. At our family Seder this year I put a bit of a twist in our discussion: I asked all the parents at the table to ponder which of the four children his or her sons and daughters would say they are. Your essay, as always, expands and enriches the thought. John, thank you for reading, for your support, and for sharing this!